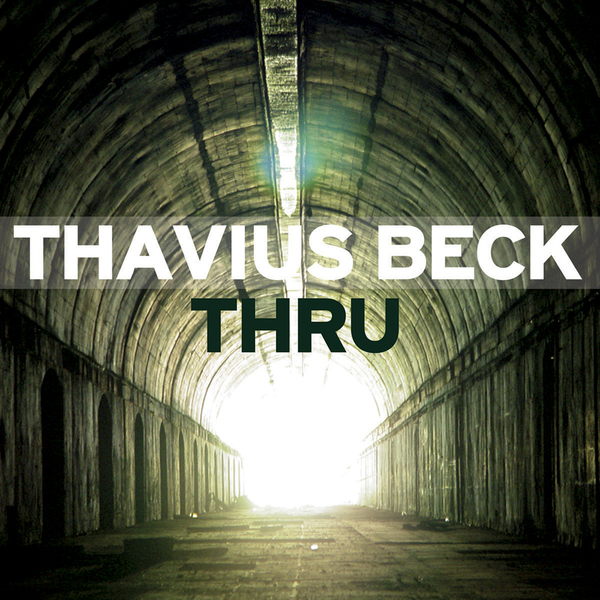 To grossly paraphrase an old adage; "you have the whole of your life to write your first album, but the second one has to be knocked out under the threatening supervision of your label manager..." Seemingly eschewing the expectation clichés of the 'follow-up', Thavius Beck returns with 'Thru'; wherein a hand picked selection of collaborators (Mia Doi Todd, Saul Williams, 2Mex...) are brought in to season his layered samples and flying synths. Very much a bedfellow to Jel et al, Thavius Beck splits his disc into instrumental and vocal led tracks - with the various guests buttressing up nicely against his mixture of electronics and breaks. Kicking off with a short introductory piece, 'He's Back' clatters into view with breaks a-go-go and analogue stretches, before 'Reaching' calms matters down through chopped up guitar and Beck's own floating vocals. Matching his MC's word play with creeping analogues and chinked electronics, the likes of Mia Doi Todd and Saul Williams are all catered for in cinematic style. Wide-screen without needless bombast, this is a top notch record that will be a welcome addition to hip-hop heads, electronic marvins and soundscape aficionados alike. Round two!